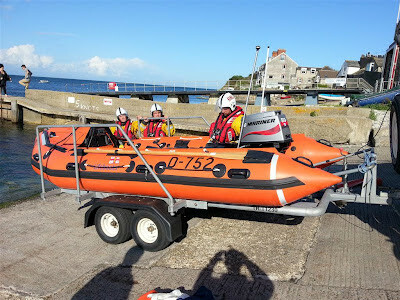 Its been an exciting few days at Swanage Lifeboat Station as we received our brand new D Class Inshore Lifeboat on Wednesday afternoon. D-752 is named 'Phyl & Jack' and was donated to us by Mrs Phyl Cleare and is named in memory of her and her husband. Sadly Mrs Cleare passed away earlier this year but she told us in 2011 that she had made provision for a new lifeboat for us. 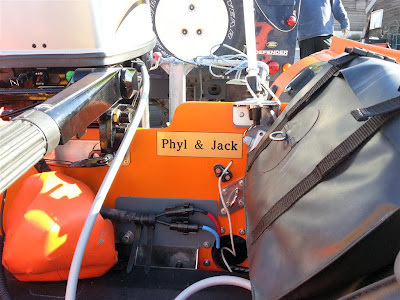 Mrs Cleare had also funded our previous boat D-613 'Jack Cleare' in memory of her husband, the boat before that, D-475 'Phyl Clare 2' and our very first ILB D-406 'Phyl Clare'. 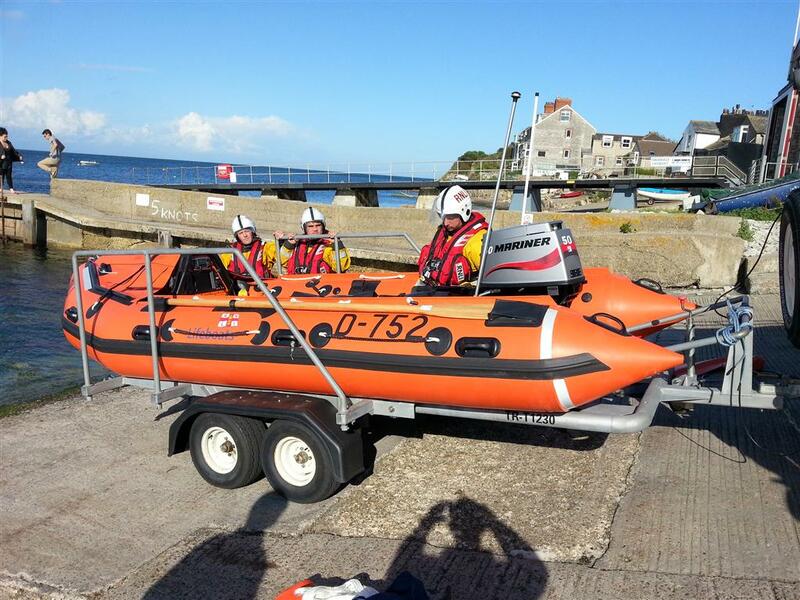 The crew are delighted with the new boat but we were sad to see D-613 leave Swanage. D-752 was officially placed on service at 7:20pm on Thursday 12th July by Tom Mansell, Training Divisional Inspector (South). The naming ceremony is planned for Sat 15th September at 11:00. 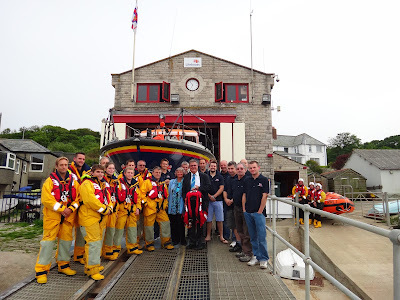 It was a proud moment as Ollie and Yvette Miles went to Swanage Lifeboat Station to officially handover the new lifejackets to the volunteer crew, funded in memory of their late son Scott. Ollie and Yvette had chosen to put the funds given in his memory to Swanage Lifeboat Station as Scotty always enjoyed being at sea and was a frequent visitor to station. 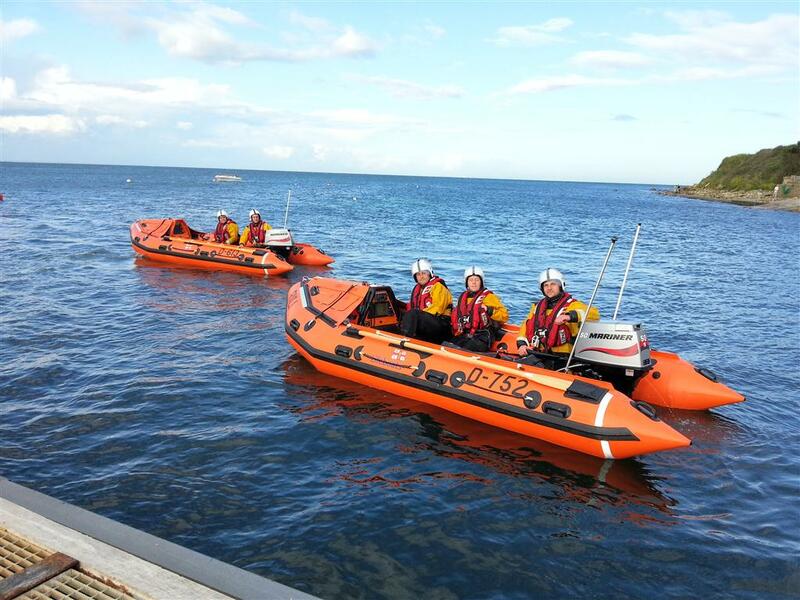 The Swanage crew are delighted with the new jackets and have already tested them in some challenging conditions during some recent rescues. The new lifejackets were designed through joint collaboration between the RNLI and the manufacturer to meet the charity’s current search and rescue requirements. It was back in 1854 that an RNLI Inspector called Captain Ward invented a cork lifejacket that proved a lifesaver on numerous occasions. But since those days, the charity has always looked to advance and improve its safety equipment, from kapok lifejackets to Beaufort lifejackets and the present day design. The Swanage volunteer lifeboat crew have already launched 17 times this year - 11 of these launches being during the months of May and June when our crews have faced some appalling conditions due the unseasonal gale force winds and rain that have lashed the coast and generated some large sea swells.